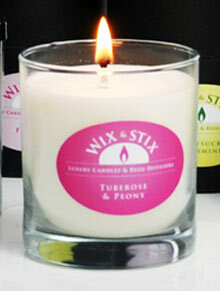 Keeping your wick trimmed to ¼” before lighting helps your candle to burn evenly and helps prevent smoking wicks. Wick trimming is essential every time you burn your candle. When you burn a highly-scented candle, sometimes your candle may develop a “fragrance mushroom”. This doesn’t happen with poorly scented candles. Routinely trim any mushrooms that develop on the wick. For the first burn allow a full, edge to edge burn pool to form. Failure to do this will cause the candle to burn down the middle (called tunnelling), this will not only decrease the fragrance throw but will also shorten the life of the candle. Place candles on a heat-resistant surface away from anything that can catch fire. Never burn the last ¼” of the candle as this presents a higher fire hazard.